Privacy Notice : South Shore Pizza & Subs Apollo Beach Ruskin Sun City Wimauma, South Shore Pizza delivers the freshest, best tasting, pizza and sub sandwiches in South Shore pizza! When you set up an account at onlineorder.sshorepizza.com to use our online ordering service, you are required to provide us with your name, email address, full street address including city, state and zip code, and telephone number. You must also choose your Username and Password and provide those to us. Every time you use our service, we collect information about the orders you place. When you place an order with us by telephone or means other than our online ordering service, you may be required to provide us with your name, full street address including city, state and zip code, and telephone number. Every time you place an order, we will collect information about the orders you place. When you use your sshorepizza.com account, we keep track of your food preferences and analyze that information. We do so in order to be able to email to you special advertisements, offers and notices regarding foods and restaurants that seem to fit with your preferences. We also use the personal information about you stored in our customer database through telephone and other non-online orders in various ways. Each time you place an order, we will call up your information from our database to make processing your order faster and easier. We also may keep track of your food preferences and analyze that information in order to be able mail to you special advertisements, offers and notices regarding foods and restaurants that seem to fit with your preferences. We may also use the information to contact you concerning your level of satisfaction with our products and services, to verify incomplete orders, rectify problems or delays with your order or otherwise communicate with you concerning your transactions with us. You can also limit our communications directly to you. If you have a sshorepizza.com account and do not want to receive emails from us telling you about great offers or other promotional offers in the future, please let us know. You can change your preferences, or opt out of receiving emails from us, at any time (except when you are in the process of placing an order) by going to Contact Us page. We want you to enjoy your use of sshorepizza.com's service. If you have any questions, or believe that a violation of this policy may have occurred, please let us know. 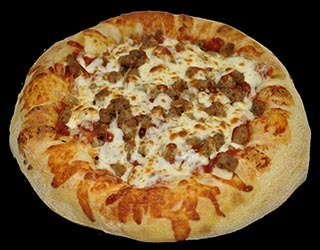 Our complete contact information is provided on the Contact Us link on our website at www.sshorepizza.com.